The Department of Biology of Aveiro University will host the course on Advanced Course on Microbial Diversity: Methods and Applications, from the 23rd to 27th July 2018. 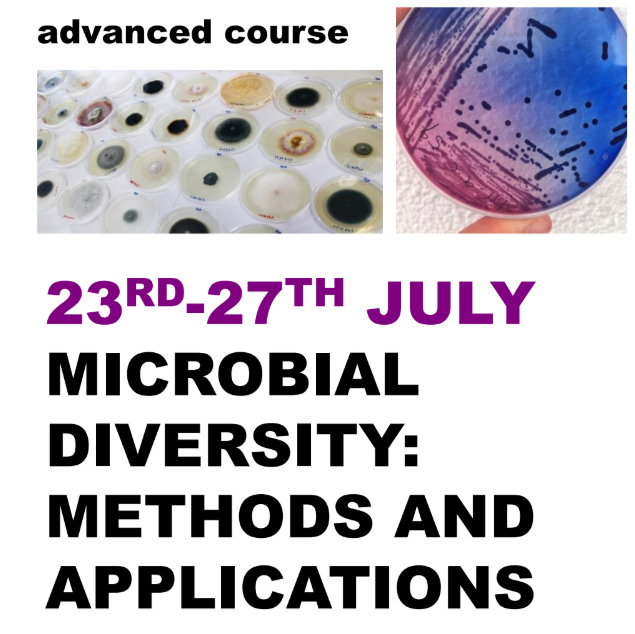 This course aims to address the wide array of methods currently available to explore microbial diversity as well as their potential applications. The course includes lectures and hands-on classes. Applicants should be scientists or post-graduation students (PhD and MSc) with a background in Biology or related areas. Free for students enrolled in the doctoral programs of DBIO-UA. Special fee for other DBIO-UA students.